“Here I was at a fancy Beverly Hills hotel photographing the cast and director of a monumental film. And they all kind of look like me,” says Rozette Rago, 28, to the New York Times about photographing the cast of the blockbuster film, Crazy Rich Asians. The image was published in the aforementioned newspaper, landing the front page of its Arts & Leisure section. Representation has become critical in pop culture today, and even with storytellers, the matter is not exempt (see Beyonce’s cover story last year for Vogue photographed by the first African American to shoot a Vogue cover, Tyler Mitchell). 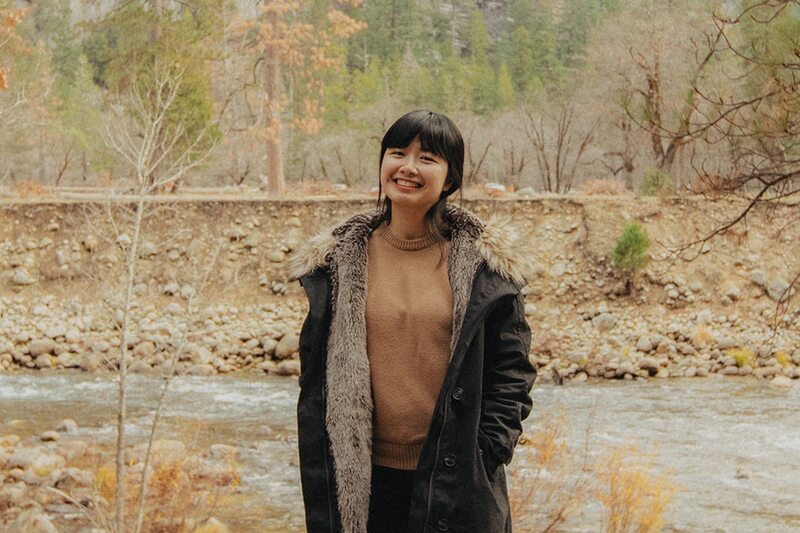 For the New York Times to have selected Rozette Rago, a Filipina born and raised in Marilao, Bulacan to shoot one of the most buzzworthy films of 2018 is not only monumental, but a statement in itself. “Did they ask you to shoot the cast particularly because you were Asian,” I ask Rozette. 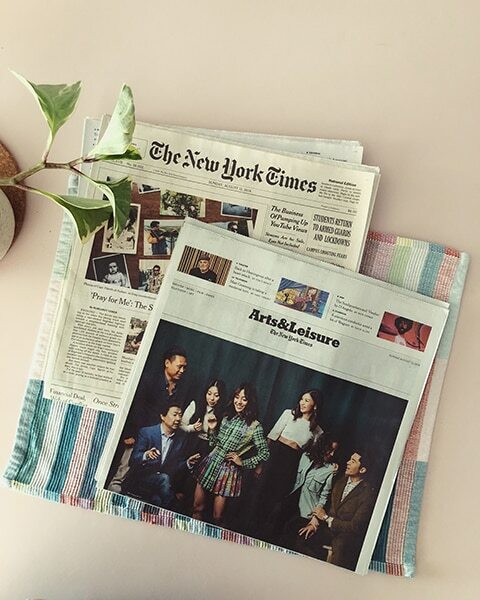 Rago's photograph of the Crazy Rich Asians cast for the New York Times. When she was a student in the Philippines, Rozette would commute from her hometown Bulacan to Manila. She finished her college degree at De La Salle University. Afterwards, she studied film at the New York Film Academy in Los Angeles. Her big break? 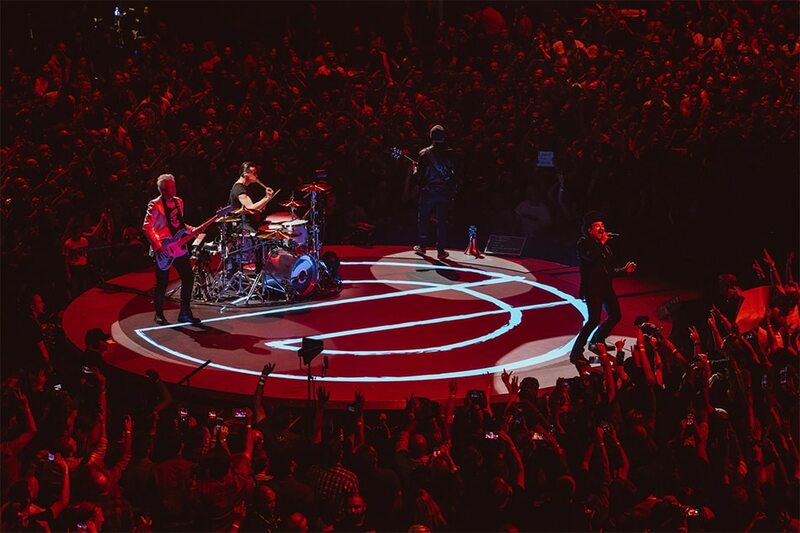 Shooting U2. "I photographed U2's show here in L.A. for a magazine, and their team in Ireland got in touch with me about them after. At first, it was for promotional purposes because they filmed the show for HBO, so my photos ended up in places I never imagined. After that, they licensed my images again to use for the cover of [their] Blu-Ray, posters for their official fan club, and a tour booklet. I don't think I was able to fully process just how incredible the opportunity was until I saw the physical products right in front of me." 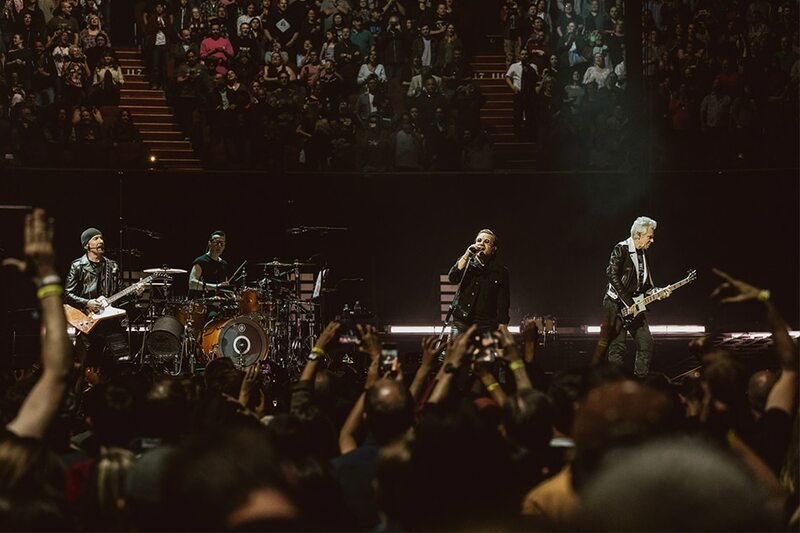 "I photographed U2's show here in L.A. for a magazine, and their team in Ireland got in touch with me about them after." This gave Rozette the confidence to pitch her photographs to national publications, including The FADER, VICE, HBO and Smithsonian Books. Today she is a regular photographer for the New York Times, shooting Hollywood names like Steven Spielberg, Shirley Manson, Riz Ahmed, and Robert Shwartzman, to name a few. Currently, she holds a position as associate photo editor at the Wirecutter, a product review site owned by The New York Times. Can we go way back to the beginning: when did you first pick up a camera and decide that you wanted to do photography? I can't remember at exactly what age I first picked up a camera, but I was really young. My family and I used to go on yearly trips to Hong Kong and my parents would just let me take over the video camera. In high school, my parents got me a Digital SLR (DSLR), which was such a luxury at the time. I think it says a lot about how my parents, especially my mom, let me do my own thing and supported me from the very beginning. "The vibe was a little chaotic because it was in the middle of their press junket for the movie and we were set up in a small hotel room," Rago says of shooting the cast of 2018's Crazy Rich Asians. When did you move to L.A. and what was the intention when you decided to move? 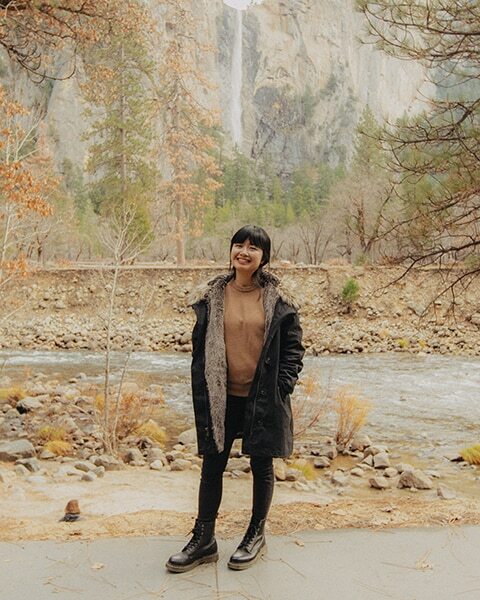 I moved to Los Angeles after a short stint at Star Cinema, which was my first job out of college. I got accepted into film school, and I didn't tell my parents until I got my acceptance letter. I had no intention of staying here for good. I just wanted to bide my time while I figured out what to do with myself and my career. I didn't feel fulfilled at my previous job, but I knew I wanted to do something creative. I've lived here since 2011. Most of my family is still back in the Philippines, including my little sister. Are you formally trained in photography or are you self-taught? I am self-taught for the most part. I took a photography course in college, but at that point, I'd already had my DSLR for a couple years. I learned by just shooting a lot and in college I met friends with whom I produced "fun shoots" in various parts of the city. We kind of went all out in a lot of them and at the end of each shoot, we'd share them on Multiply. As a photographer, how did you get your work out there so that it would reach the right people? It was a lot of work. When I look back on everything I've done so far since I moved to L.A. to get assignments and build relationships, I feel exhausted. I think the most important thing to figure out is what sets you and your work apart. Do you have anything to say? How determined are you? Because rejection is a constant thing and it took me awhile before I stopped taking rejection so personally. So, having a thick skin is essential. What skills do you think a photographer like you needs in a very competitive market? There are so many talented photographers today, but how does one truly stand out? I wish I had better social skills. Most of your job as a photographer is dealing with people and maintaining relationships. I'm a little bit awkward in person and I used to be cripplingly shy, which was the main reason I blogged so much as a student. Working as a photographer has helped me overcome that, but it doesn't come naturally to me. It takes a lot of work. I see so many excellent photographers who are also very naturally social and they're able to build relationships better and stand out more. Working with the top names in the media industry, is it hard to be an Asian female photographer? Are there a lot of other women or Asians who are doing the same work, or is the industry very male-dominated? The main obstacle is always getting people to take me seriously. I've done shoots where I've been called a "kid" or a "girl". Sometimes I would bring a male assistant and people would automatically assume he was the photographer, not me. But it's been happening less and less. I surround myself with women and non-binary photographers, and this community has really helped empower me. We all try to help and lift each other up. The New York Times story for which Rago shot Steven Spielberg. 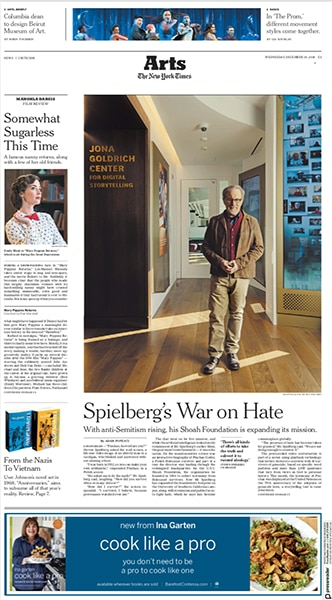 You've shot the portrait of Steven Spielberg for the New York Times. Can you tell us about that experience? It was a fun shoot because he was really friendly and warm. He knew everyone's names and he was just the most "non-celebrity" celebrity I've ever met and photographed. The biggest challenge with these shoots is maintaining composure. I have very limited time with them so I always have to stay focused on the images I need. I allow myself to freak out later when I'm driving home. What was it like to shoot the cast of Crazy Rich Asians? I had a little less than an hour with the cast and director and within that time frame, I needed to do group shots and individual portraits of everyone. The vibe was a little chaotic because it was in the middle of their press junket for the movie and we were set up in a small hotel room. Apart from me and my assistant, there were makeup artists, publicists, and stylists in the room. I gave very minimal directions because I wanted to capture the group as naturally as possible. Just seeing them all together in one frame is already quite moving, and I didn't want to disrupt that. Your style of portraiture is so fresh. How did you develop this style? Many, many years of shooting. What are some of your most memorable stories? Shooting on the set of Will & Grace was very surreal because I used to watch that show when I was still in Manila. I will also never forget my shoot with Jodie Whittaker and her reaction to seeing me and my assistant, both women. She was so happy!